• Charts & Tables booklet, including character sheet (8 pages). 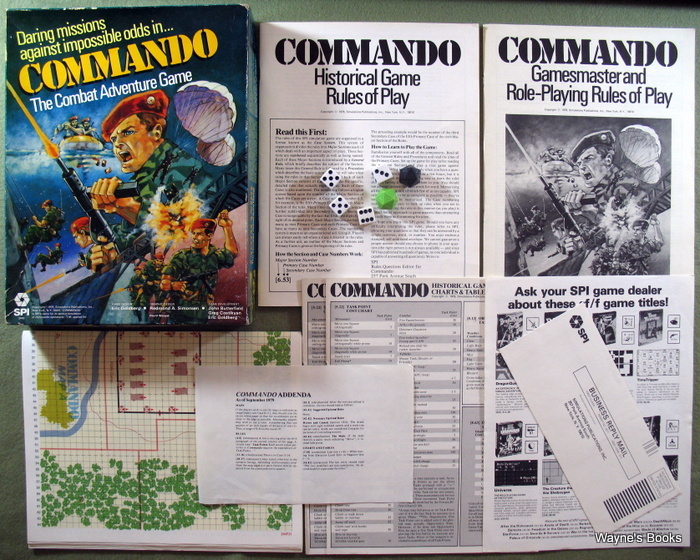 "Commando is both a tactical level historical game and a role-playing game of commando action. The game is played on a grid map (either one of 12 provided or one of the players’ devising) across which movement is plotted by the players or by a gamesmaster. Simple probability charts reveal the outcome of combat, characteristic assignment, and other game functions." Another entry by Task Force Games, written by Aaron Allston. A set contains: rules booklet, 104 playing pieces, 12 geomorphic map boards, and player reference card. 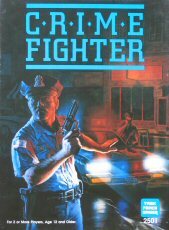 "Crime Fighter includes rules for character design, movement and combat as well as two ready-to-run "episodes"— everything you need to start your police career. If you're a fan of action-packed and melodramatic police shows, you can design your characters and campaign to be like them. Your heroes will protect their beats and solve their cases, perform tire-screeching chases, blatantly disregard procedure and catch criminals. If you prefer a more realistic approach, you can create a campaign where the characters follow real-world police procedures, go through the stresses that real-life police officers suffer and win some cases and lose others. But Crime Fighter isn't just a complete role-playing game. With an extensive source-book and campaigning rules — including guides to police procedures, call-codes and careers and a campaign setting with numerous non-player characters — Crime Fighter can be used as a police campaign sourcebook for any modern role-playing game!" Subtitled "America Strikes Back!" Delta Force clearly plays off the preoccupation of the 80's: Terrorism and the Middle East. [Some things never change, eh?] The 3 books in the box, Rules of Play, Warbook, and Scenarios tell you exactly what you're getting. The rules are career and skill-based, and strike me as influenced by Classic Traveller and Twilight: 2000. Also contained in the boxed set is well-designed referee's screen. 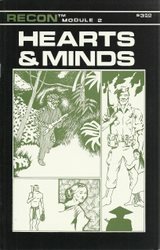 The developer of Delta Force -- William H. Keith, jr. -- would later go on to author many RPGs, and fiction as well. Fans of BattleTech, 2300AD, Twilight: 2000, and plenty others will recognize his name. Interestingly, the cover & interior art is also from William H. Keith, jr.
"DELTA FORCE — The role-playing game of an elite anti-terrorist commando unit. The terrorists strike without warning, without mercy, taking hostages, issuing their demands and threats. Shadowy organizations with such names as the PLO, Islamic Jihad and KGB seek to overthrow the West in sneak attacks of blood and terror. But now, America strikes back with Delta Force. Delta Force is the role-playing game of a fictional elite anti-terrorist commando unit based on the U.S. Special Forces Operational Detachment — Delta. Whether it's an assault on a highjacked 727 in Beirut, the rescue of POWs from a jungle camp or the destruction of a secret A-Bomb lab in the Lybian Desert, Delta Force is trained and equipped to fight the terrorists on their own ground — and win! 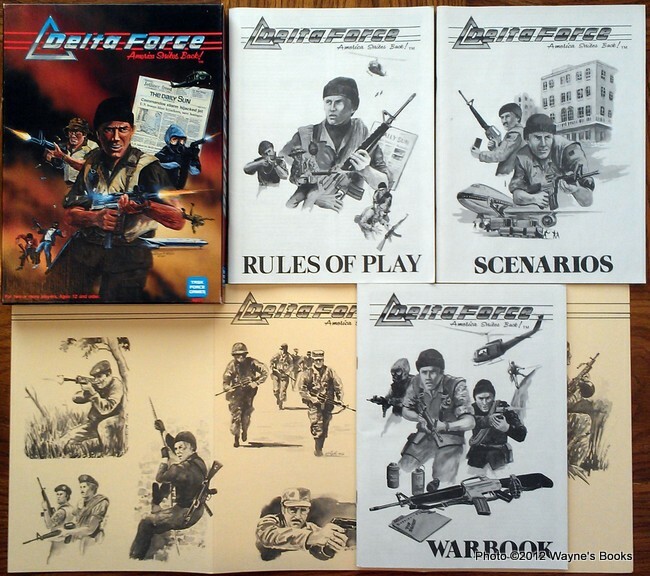 Delta Force emphasizes action, playability, weaponry and player/referee interaction. The referee moderates play and directs the actions of the terrorists, while the players direct the activities of Delta Force team members. 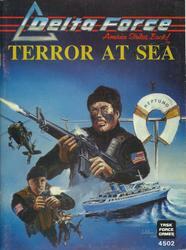 Terror at Sea is an Achille Lauro redux: A shipboard insertion and elimination of terrorists controlling a cruise ship. "Terror at Sea can be played strictly as a tactical operation, beginning with the assault of the Neptuno, or as a combined strategic and tactical operation with all the elements of the crisis. A rescue attempt at sea leaves no room for error and must be perfectly timed. Any mistake or miscalculation could spell disaster for both the hostages and your rescue team. Terror at Sea includes deck plans for the S.S. Neptuno, HALO assault rules, descriptions of additional equipment and more. Terror at Sea requires a referee and one or more players." "Deep in the Sahara Desert, Moammar Gadhafi — 'Mad-dog of the Middle East' — has established a top secret base, and there his terrorist minions are putting the finishing touches on 'Operation Akhil Jihad' ('the Ultimate Holy War'). Israeli intelligence reports that the base is building atomic bombs small enough to be infiltrated into Western cities. The project is nearly complete, and when it is, Gadhafi will be able to export terror and blackmail to the West on a scale never before seen. Your mission is desperate: penetrate the defenses of Libya, cross hundreds of miles of the most hostile desert environment on Earth, and arrange an 'accident' which will end Libya's dreams of nuclear terror once and for all. If you fail, the results will be catastrophic. 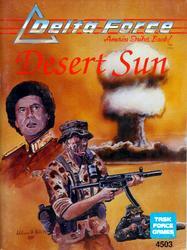 Desert Sun includes all the information and maps for a clandestine raid on a secret Libyan military base in the Sahara Desert. Also included are supplementary rules on Large-Scale Assaults, a new skill (Nuclear Weapons Skill), a Warbook supplement (special weapons, aircraft and more), new dossiers (including Gadhafi) and an alternative scenario: 'Operation Desert Sand.'" "You are the final option! When every attempt to bring the crisis situation to an end in a civilized manner has failed, your Delta Force team will be called in to settle the problem, one way or another. This is what you have continually trained and improved your skills for. But, negotiation always comes first. Negotiations can be a legitimate attempt to diffuse the situation or merely serve as a diversion while final assault plans are readied. In any event, once negotiations have failed and you get the order to "GO", the problem will be taken care of by Delta Force! 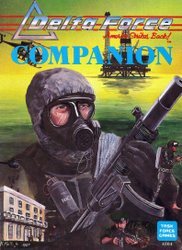 The Delta Force companion contains rules for negotiations with terrorists and for diplomacy, including dossiers on several countries in and around the Middle East most likely to be involved in the terrorist wars. New character rules include tertiary stats, improvement of skills through training, recovery from wounds, character backgrounds, and new skills. Rules for simplified combat and support weapons in combat are included as well as new equipment, new counter terrorist unit templates, and extensive list of known terrorist organisations, and a series of scenarios which can be played independently or as a mini-campaign." 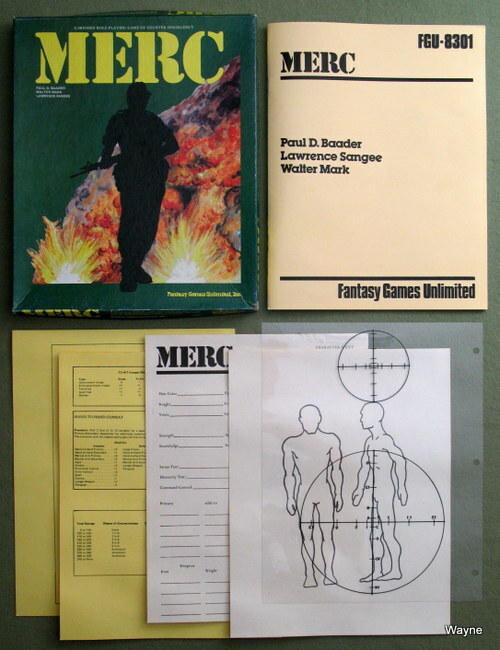 This entry, designed by the late J. Andrew Keith for Fantasy Games Unlimited (FGU), is a novel concept that dates to 1986. * Soviet and Warsaw Pact forces with Latin American allies. * The "Martians" written about by H.G. Wells in a return visit - this time better prepared for Earth's bacteria. * A more silent and secret alien invasion where the invaders pretend friendship and gain control of governments, while most citizens are unaware of the true state of affairs. * The Character: Rulebook 1 for Freedom Fighters, this volume contains all the data required to create detailed characters in the 1990s. Regardless of the choice made for the nature of the invader, all characters will have complete and detailed backgrounds, contacts in many walks of life, skills, and professional backgrounds. Book 1: The Character is 80 pages long. * The Resistance: Rulebook 2 for Freedom Fighters, this volume details the rules for combat, equipment, weapons, large scale military actions, military organizations, and the actual organization of the Resistance. 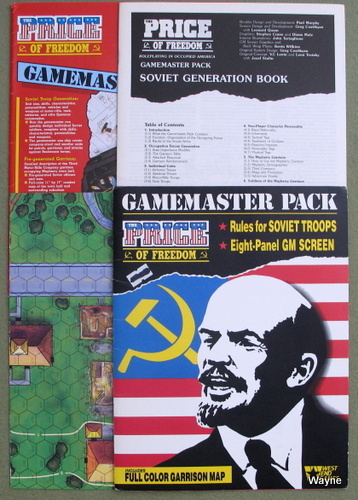 Guidelines for the different style campaigns are also included for the Gamemaster. Book 2: The Resistance is 96 pages long. * A 32 page booklet of charts and tables for use in character generation. * Two 6-sided dice and a pair of mini-twenty sided dice for percentile rolls. * The Freedom Fighters pin/button. 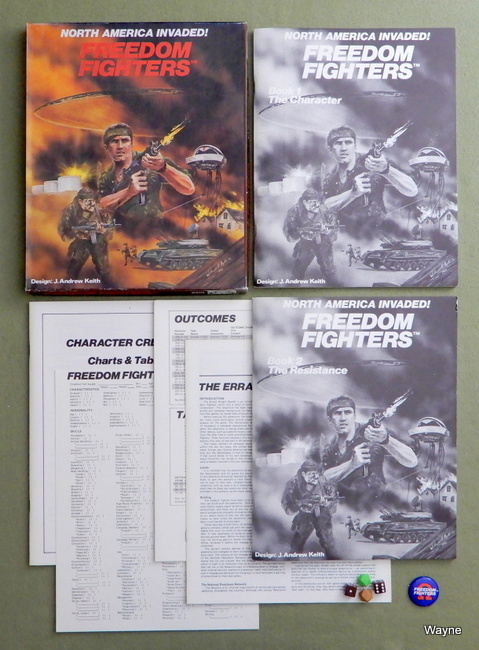 Freedom Fighters also comes complete with a judge's screen and a master character sheet (suitable for photocopying). Other important master forms for the listing of military units, vehicles, etc. are also included in a form suitable for easy photocopying. "A role playing game of modern mercenaries carrying out missions for their employers anywhere in the world. The excitement of combat as a soldier of fortune in action. A role-playing game of modern mercenaries in action. Included in this box are complete rules, game master’s manual, character sheet, summary charts, dice and an introductory mission. 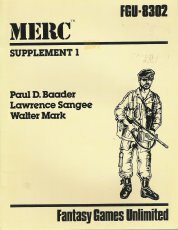 MERC allows you to participate in missions as a soldier of fortune. Join our hearty band of Mercenaries as they search the world for adventure and action. Everything you need to begin play, even including a beginning scenario." "The purpose of Supplement 1 is to add Specialties and Skills, and to clarify existing material. In no way is this Supplement meant to change the present game system. In Book 3 - In Country, besides new specialties and skills, there are restrictions on existing material. In Book 4 - Motor Pool, the vehicle procedure has been intensified. All and any of these changes should be applied to existing characters and campaigns. Since the basic MERC system remains the same, these changes are only to add authenticity, realism, and action to your game." 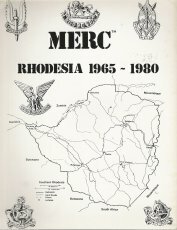 "MERC: CAMPAIGN BOOK ONE: RHODESIA will give players all the pertinent information they will need to historically run their respective campaigns within Rhodesia. Because of the locale, we have added a new Specialist classification with it's appropriate Skill Test. Also, The Rhodesian Campaign has some unique units which we will discuss and show players how their characters will be able to fit within the Security Forces. It is also important that the Terrs are discussed and analyzed. We also give them basic stats for the CORPORATION'S use. 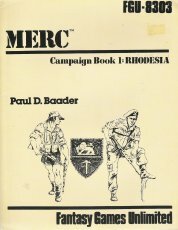 MERC: CAMPAIGN BOOK ONE: RHODESIA is a complete and total campaign." "It is a quiet fall day in San Francisco. The year is 1937. The newspapers are all abuzz with news about the military buildup of Japan and the invasion of China. The offices of the Eureka Detective Agency are open for business and you're about to be handed the biggest case of your career. Juan T. Knight, the president of Pan Global Airways has just called and wants you to come down to the airfield to solve a mystery. What's happening to the pacific clipper fleet? Is it sabotage? Revenge? Maybe even for the insurance. 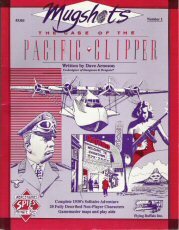 You have no idea, but you can bet there's more to this case than meets the eye... Mugshots: The Case of The Pacific Clipper is the first in a series of Role-Playing Books for Contemporary Adventures. 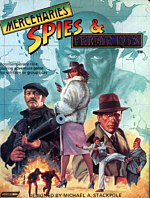 Usable with Mercenaries, Spies & Private Eyes, This book contains a full-length solitaire adventure, gamemasters maps, and descriptions of plenty characters from the 1930's for use in your own Contemporary Adventures." 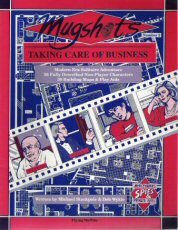 "MUGSHOTS 2 is an extensive file of criminals, mad scientists, spies, dilettantes, con artists, vigilantes, wackos and geniuses for use in your modern era role-playing game. Each of the 36 characters is fully described, with physical & personality descriptions, illustrations, game state and scenario suggestions. A solo adventure is included in this book, that you can run for yourself to get a feel for the characters. MUGSHOTS 2 is also a collection of 30 pages of the most detailed room setting and building maps ever created for modern role-playing. Each map details the home, hang-out or workplace of one (or more) of the 36 characters described in this book. Each map is cross-indexed to the characters, and a map of the city is included so you can see where all the places are at a glance. And... you can use these maps with any role-playing system. MUGSHOTS 2 also has stats for Mercenaries, Spies & Private Eyes™, along with stats for Espionage™ part of the HERO™ system. You do NOT need MUGSHOTS 1 to be able to use this book." CONTENTS: • Notes to the Game Master (4 pages) • Fingerprints Simplified (14 pages) • 3x magnifying glass • 10 FBI fingerprint cards • Master List of Fingerprints chart • 5 sheets of 50 fingerprint stickers each ~ "Now you can add a new dimension to all your mystery, adventure and investigative games with IDENT-A-KIT FINGERPRINTS. 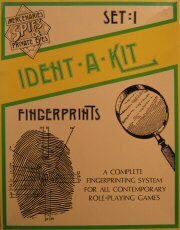 This kit contains everything you need to incorporate the science of fingerprinting into your gaming, adding a new element of realism, complexity and fun.With fingerprints for fifty different characters, you can use the IDENT-A-KIT to enhance any of your twentieth century role-playing or mystery party games. As Game-master you can set up Bureau of Identification files for prints of known criminals and leave latent prints for players to discover, classify and use to "catch their man" or woman.The peel-and-stick fingerprints can be left as clues at the scene of almost any crime. The famous artist Laura Parker is found dead in her studio only hours before a private preview of her latest painting. Whose fingerprint is that on the champagne bottle lying on the floor? Are any prints other than the owner's found on the empty cash box in the closet? And do these prints match those of any of the seven guests invited to the showing?" "The job seemed easy enough; raid a heavily guarded estate in northwestern India and steal a valuable statue. You have done the same thing many times in the past. Yet, this is one mercenary contract you are having second thoughts about. Your employer seems confident of your success, perhaps, too confident. This job may turn out to be your last. 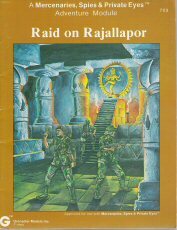 Will you survive the Raid on Rajallapor?" "In The Price of Freedom, you play an American who chooses to resist the Communist occupiers. You must find the weapons and leadership to resist effectively. The invaders have absolute nuclear supremacy; regular military opposition is impossible. The only way they can be defeated is to make the occupation of America so costly that they must withdraw. But remember; no occupied nation has ever liberated itself without outside help. And we have no one to help us. The fate of America is in your hands. • A realistic and flexible modern-weapons combat system, with rules for every aspect of man-to-man warfare from guns and grenades to vehicles, heavy weapons and night operations. • A combat system played with full-color maps and counters, as a miniatures system, and also as a simple combat game. • A character system which promotes roleplay, with rules for personality and physical tags, interests, and passions. 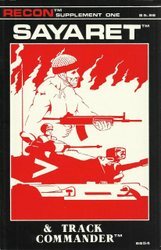 • "Waging Guerrilla War" — how to fight the Occupation, and an analysis of the methods and objectives of the American Resistance. • Running a campaign — developing a setting, character backgrounds, recurrent non-player characters, etc. • Adventure design — the principles of plotting, characterization, and staging. • A complete adventure (The PATH of Freedom) and many short ones (Radio Free America, The Last Congressman, etc.). • Tables of organization and equipment for the "American Strategic Direction" — the Soviet occupation forces. • Extensive background material: how America fell, the organization of Soviet society, and how the Soviets plan to remold America." 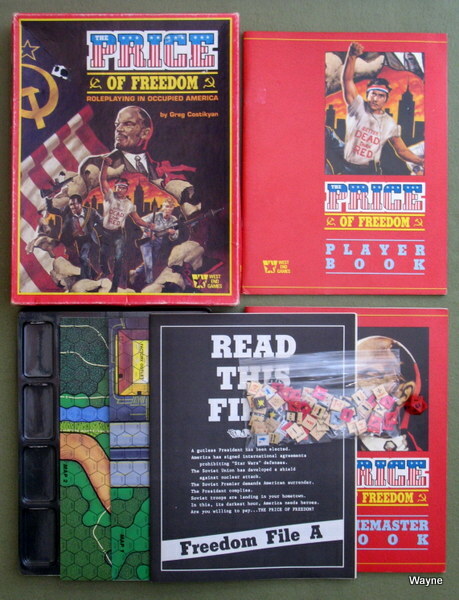 Gamemaster Book; Player Book; 2 maps; 4 4-page Freedom Files; counters. Features: Soviet Troop Generation; Pre-generated Garrison; Gamemaster screen; town map (Map 3 - Mayberry Town Hall). 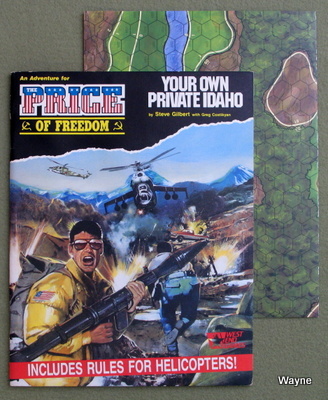 Includes helicopter rules for the Price of Freedom RPG. Map is "Map 4", Mackay Dam and surrounding forest. YOUR OWN PRIVATE IDAHO includes a 4-page pull-out printed with all the rules you need to use helicopters and anti-aircraft weapons in THE PRICE OF FREEDOM. AH1 "Cobra," UH1 "Huey," AH64 "Apache," Mi-24 "Hind" and Mi-28 "Havoc" helicopters, as well as many others, are detailed; so are ZSU-23-4 anti-aircraft guns. SA-4s through SA-14s, and Chapparal and Stinger surface-to-air missiles. 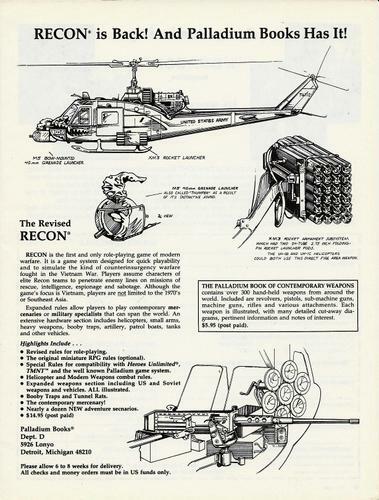 A two-panel cardstock pull-out printed with all the charts and tables you need when using helicopters and anti-aircraft weapons is also provided." "SNOOPIN' AND POOPIN'... Four to twelve men operating deep in the bush of Vietnam. Outnumbered. With only wit, skill, and raw courage between them and violent death. Looking for the Viet Cong in his jungle sanctuary; then dumping on him. Snooping and pooping, the recon missions of the LRRP, SOG, SEAL, Delta, PRU, and Phoenix. 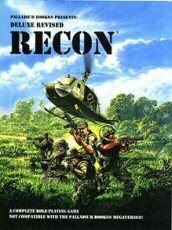 Recon recreates 34 operations using a percentile role playing system that features a unique mapless terrain generation, for faster play and simpler preparation. 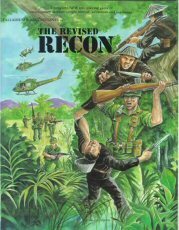 Recon can be played with 20mm Vietnam figures already available! Special artillery, airstrike, and helicopter gunship rules let you call in anything from miniguns to napalm. Begin your mission by inserting via chopper, river patrol boat, HALO parachute drop, or underwater using SCUBA. Continue your character's career after 'Nam as a soldier of fortune with the 19 missions also in this book." 3-panel screen with numerous charts and tables for the Recon gamemaster. "A 16 city block map of the business area of a small city, with 40 floorplans of buildings in a variety of shapes and sizes. 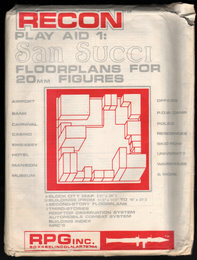 The floorplans can be cut out and arranged in different combinations for scenarios using any modern roleplaying system; they are in 1/72 nd scale for use with 20 or 25mm metal miniatures or l/72nd and HO scale military miniatures. The set includes descriptions of businesses, a system for generating NPCs, and ROADKILL - a vehicle combat system." Published in a curious newsprint-type format. "Under OPS 31 (Maritime) and OPS 35 (North Viet Nam) SOG RTs penetrated deep into the heart of North Viet Nam. 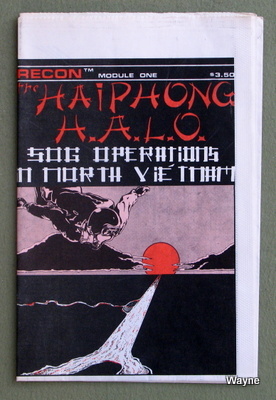 The Haiphong HALO allows you to recreate some of the most dramatic missions of that war. This module is designed to allow you to run overland or amphibious operations with new insertion and contact systems and tables. New insertion and extraction systems allow you to take SEALs or Marine Force Recon swimmers (SCUBA divers) into Haiphong harbor for recon, sabotage, snatches, assassinations, and rescues." "Recon module two. Your Special Forces A Team must organize and train a Montagnard village in the Central Highlands of the Republic of Viet Nam, Includes a 2d100 daily events table within the village, and a 2d100 table of VC/NVA contacts along the Ho Chi Minh Trail." "Recon supplement one. Covers running an Israeli reconnaissance/ special operations character against terrorists and conventional troops. Track Commander introduces a roleplaying system for being the crew of an Israeli tank or armored personnel carrier." "Need a tyrant toppled? An Heiress rescued? An enemy eliminated? A country saved? Contact HEADHUNTERS, LIMITED. HEADHUNTERS, LTD., an international corporation that provides skilled professionals with state-of-the art weaponry (including small helicopter and armor detachments). Everything we need to fulfill our contract. Remember, at Headhunters: War is our profession. 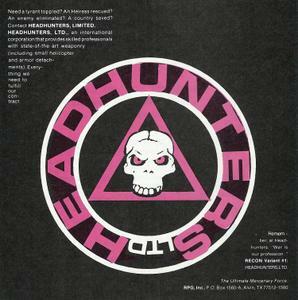 RECON Variant #1: HEADHUNTERS, LTD."
ad from Dragon magazine #91 (Nov 1984). I have never seen one of these, and question whether it ever saw print. 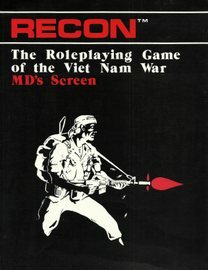 Palladium published the Recon game for a time. At right is an ad from Dragon Magazine #111 (July 1986). Note that it says at the bottom: "Please allow 6 to 8 weeks for delivery. All checks and money orders must be in US funds only." Ahhh, kiddos, that's the mail order service we had to put up with back in the days before the internet. You mailed a check, and waited two months for them to ship your book. "RECON is the first and only role-playing game of modern warfare. It is a game system designed for quick playability and to simulate the kind of counterinsurgency warfare fought in the Vietnam War. Players assume characters of elite Recon teams to penetrate enemy lines on missions of rescue, intelligence, espionage and sabotage. 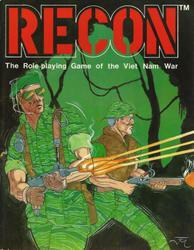 Although the game's focus is Vietnam, players are not limited to the 1970's or Southeast Asia. Expanded rules allow players to play contemporary mercenaries or military specialists that can span the world. An extensive hardware section includes helicopters, small arms, heavy weapons, booby traps, artillery, patrol boats, tanks and other vehicles. Highlights Include . . .
* Revised rules for role-playing. * The original miniature RPG rules (optional). * Special Rules for compatibility with Heroes Unlimited TMNT™ and the well known Palladium game system. * Helicopter and Modern Weapons combat rules. * Expanded weapons section including US and Soviet weapons and vehicles. ALL illustrated. * Booby Traps and Tunnel Rats. * Nearly a dozen NEW adventure secnarios. "The focus is on allowing counter-insurgency campaigns which are less focused on combat engagements. New character creation rules make characters "last longer" in combat. An electronics section covers such items as night sights and radios. A primer on combat tactics is included. Background is provided for Southeast Asia circa 1965, with guidelines and random encounter tables for a fictional Laotian campaign." 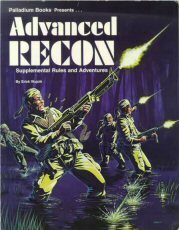 "The Deluxe edition collects the Revised RECON® RPG and Advanced RECON® sourcebook into one attractive package. A dynamic new cover, some new interior art and artful repackaging makes the re-release of this highly requested classic a beauty. Deluxe Revised RECON is a complete role-playing game written by Erick Wujcik, and includes Joe Martin's original miniature combat rules. It also includes several adventures and adventure ideas for Vietnam era combat." Copyright © 2019, Waynes World of Books. All rights reserved.